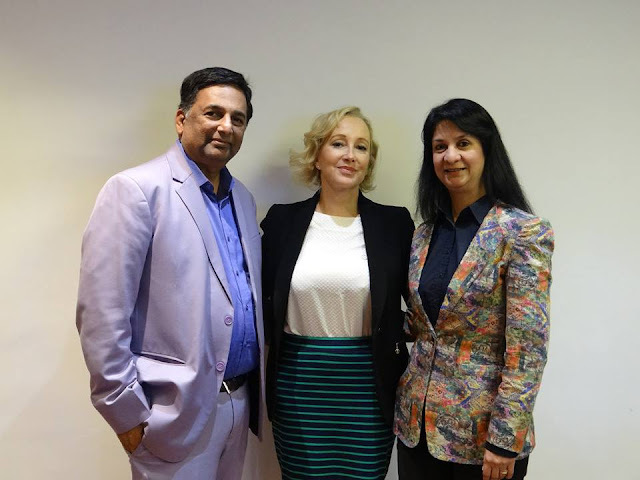 Last week I had the opportunity to attend a bloggers meet hosted by Richfeel, where they had arranged a Q&A session about hair care with Ms. Lorraine Lambert, CEO of Ailesbury Hair Clinic, London. The session was very informative and me along with the other bloggers got most of our hair care queries answered from the expert. But the highlight of the event was definitely Ms. Lambert's presentation of the AHI FUE surgical hair restoration technique, which will revolutionize hair transplant procedures in India thanks to Richfeel. It is the latest and the best in surgical hair restoration. from the one original follicle. The technique is minimally invasive. Yet it lets you gain maximum results within the shortest recovery time. There is no need for hospitalization and complex aftercare process. The process is executable in just a day. The hair that is planted is not only guaranteed to grow but also stays with you for a long time to come. The new hair that grows can be cut, shaved, colored, blow dried just like your normal hair. In case of queries and for booking a consultation session, you can also email at customercare@richfeel.com or call at 9004999333. Also, you can visit their official website here. KANGANA RANAUT – DIVA OR GIRL-NEXT-DOOR? !